At the corner of Zang and Beckley rests a small building once center stage to early zoning battles in the city of Dallas. 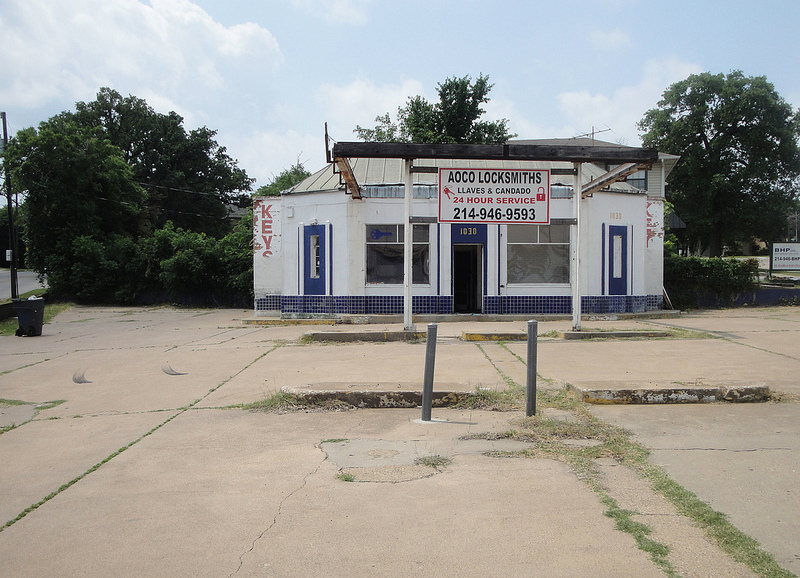 Despite controversial beginnings the Humble Oil Service Station has remained a reminder of simpler times in Oak Cliff even as the neighborhood has changed. 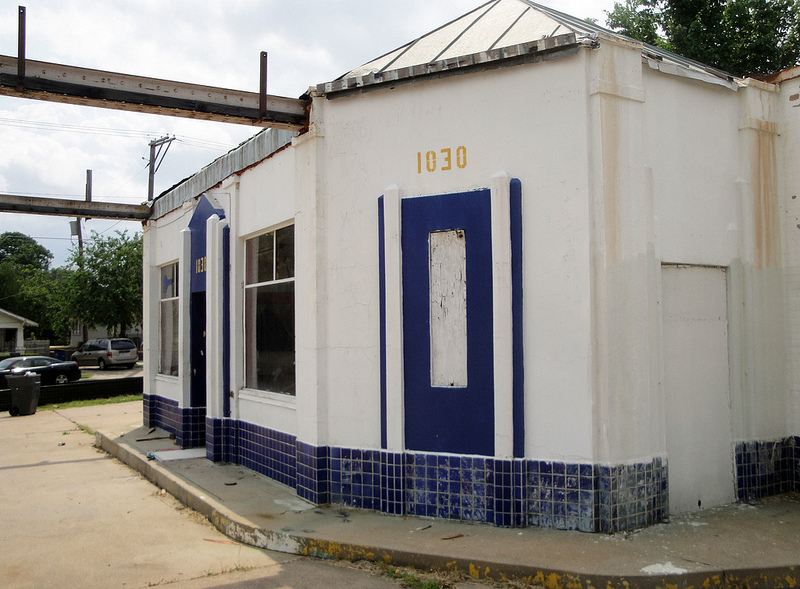 With its impending demolition, a small slice of Texas history disappears. Zang Boulevard has always been an important gateway to Oak Cliff. Bordering the Lake Cliff Historic District, the area contains some of the oldest buildings of old Oak Cliff and has remained primarily residential over the years. But as the city grew, commercial businesses sprouted up along Zang; a lack of city planning left areas of town looking haphazard and illogical. This quality of life issue — which became a popular topic in 1920s Dallas — led to efforts to control the development of neighborhoods through city zoning. Zoning was seen as a way to protect established residential areas from the growing nuisance of filling stations, garages and corner drug stores (along with dirty industrial businesses). In other areas of town (such as the Cedars) expansion of industry created decline in once-wealthy residential areas. By the late 1920s the City Commission stated that a complete zoning survey was one of the city’s most urgent needs. A master plan and topographical map were commissioned; zoning surveys were initiated as the first step to enacting zoning ordinances throughout the city. As the city proceeded with plans, a temporary zoning ordinance was put into place to maintain the status quo until a full survey and reports could be complete. This slowed industrial encroachment, but did not prevent it completely. As private auto ownership increased, Humble Oil expanded its reach in the areas of town with neighborhood filling stations. In 1928 the company purchased a triangular plot of land facing Zang for such a station, despite uncertainties about the lot’s future zoning. Neighbors soon mobilized and protested the plans, claiming the industrial uses would destroy their established residential neighborhood. Under grounds of the temporary zoning ordinance — and without much opposition — the city denied the building permit. But Humble Oil, unsatisfied with the ruling, soon appealed the decision and took the matter to the 101st District Court. 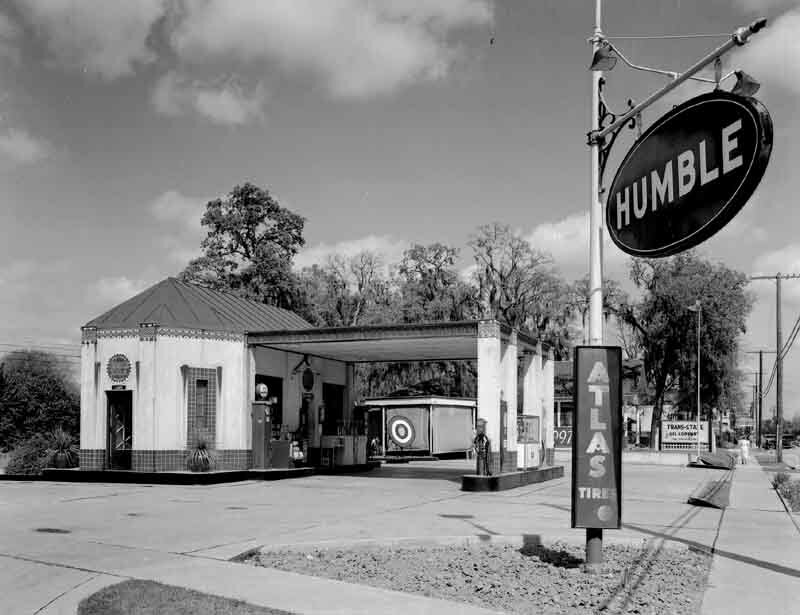 The courts ruled in favor of Humble, and in 1929 the city was ordered to grant a building permit and restrain from interfering with construction of the service station. Work began shortly after and the new business opened later that year. 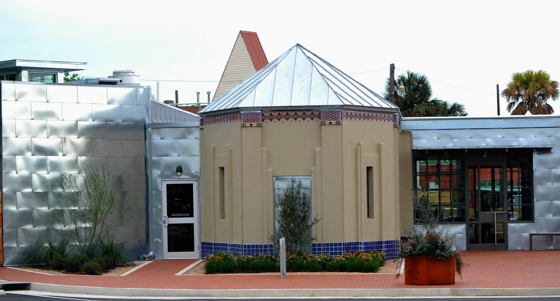 Modest in size, the service station followed the design and size of other stations in the Humble Oil chain located throughout Texas. A small service building with angular side rooms and pitched roof was fronted by a canopy and fuel pumps. More modest in size than a notable survivor in San Antonio, the Oak Cliff building nonetheless shares many of the same Art Deco detailing. A band of blue tiles wraps the base of the building; a stair-stepped entry surround and vertical side windows stress verticality popular in the architectural movement. Some elements (like a decorative band at the top and columns) have vanished with time, but the building did not suffer too many alterations over its lifetime. 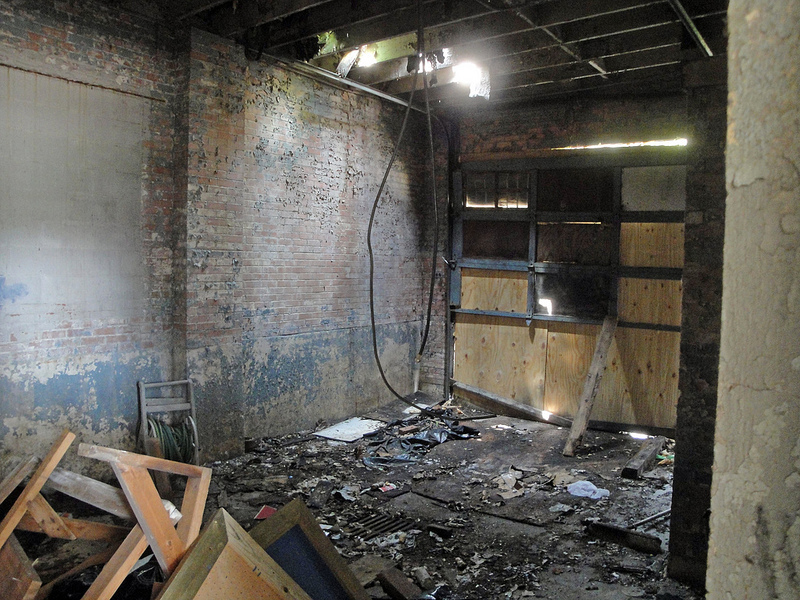 The building functioned as various businesses until early 2012 when plans were announced that would lead to its demolition. While there are empty lots in the immediate vicinity that may be a more appropriate location, developers Jay Song and John Chong are planning a new convenience store on the site. The building’s small size makes it challenging for expansion, and new construction will require the demolition of the original structure. 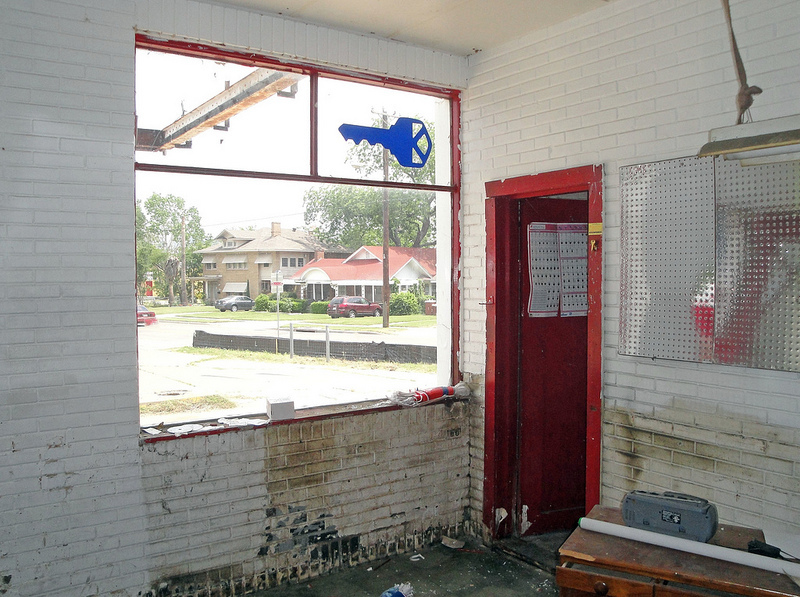 The building was listed on the Old Oak Cliff Conservation League’s “Architecture at Risk” List and received considerable attention and discussion. However, because the Lake Cliff Historic District — which includes the boarding house where Lee Harvey Oswald rented a room at 1026 N. Beckley — ends across the street, preservationists have little control over the site’s future. The developers have been open to discussions, and meetings with neighbors are underway to mitigate the impact (in design and size) of the new structure. Unfortunately, none of these plans include reuse of the original building — a lost opportunity for sustainable adaptation to future needs. In a business environment where retailers occupy unadorned boxes behind maximized auto parking, the Humble Oil Service Station stands out for its subtle detailing and street presence. Let’s hope the replacement is just as sensitive to its historic surroundings. 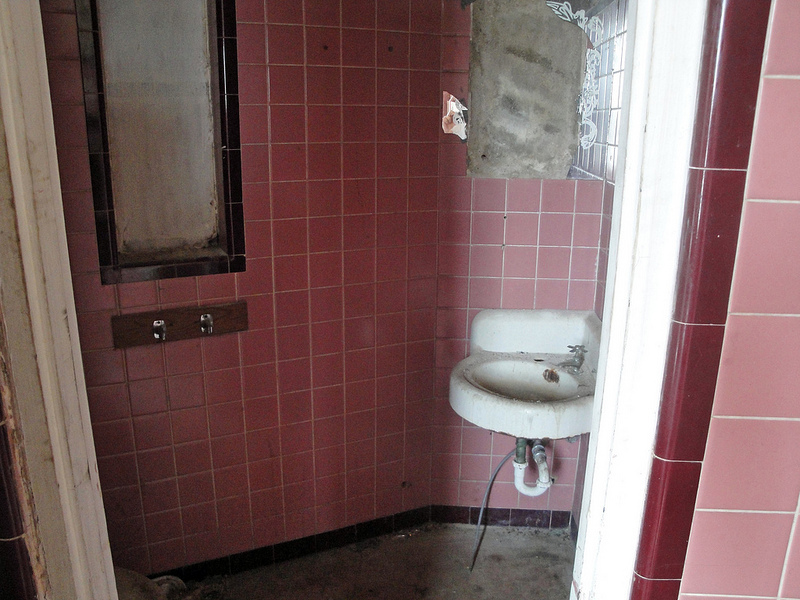 Additional photos of the building can be found here. Update: the Humble service station was demolished in February 2014. 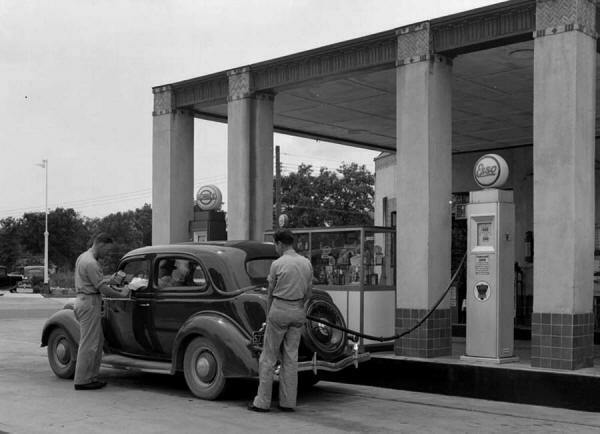 3 Responses to "Humble Oil Service Station"
I have several photos of a Humble Station in Dallas where my mother and aunt worked in 1941. It must have been some sort of promotion because the women all wore short skirts and cowboy boots. The dealer’s name was R G Green.